Everything tastes better when you add sausages! 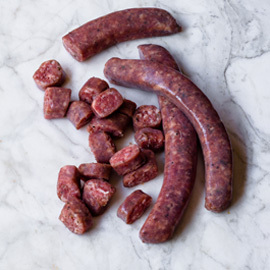 Sausage making is an important part of nose to tail Butchery. 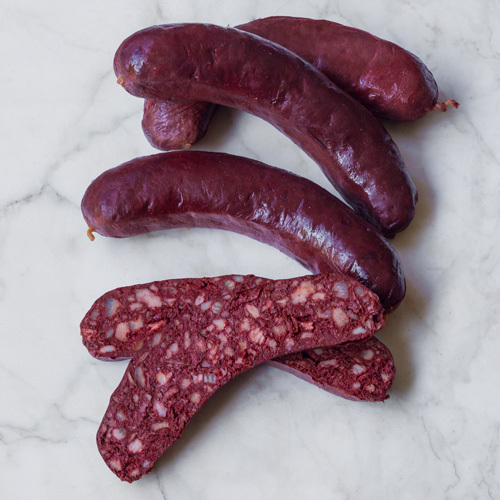 Our sausages are handcrafted on site from primal cuts of well raised, heritage meats. 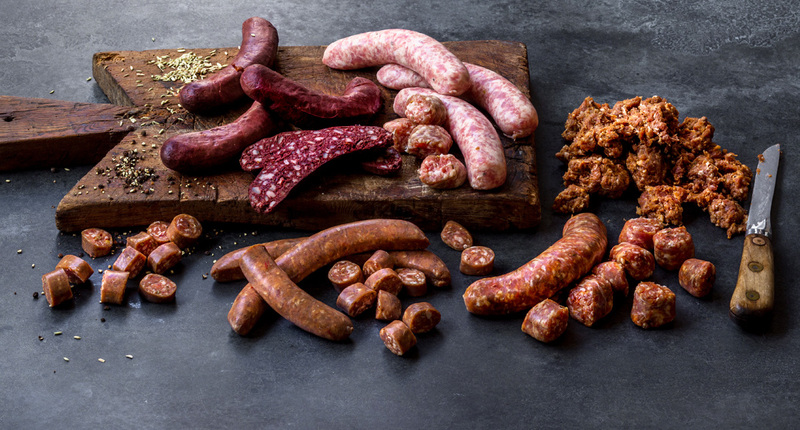 We have a range of both classic and unique artisan sausages comprising of fresh, organic, and sustainable ingredients. Sausage lovers have come to the right store. 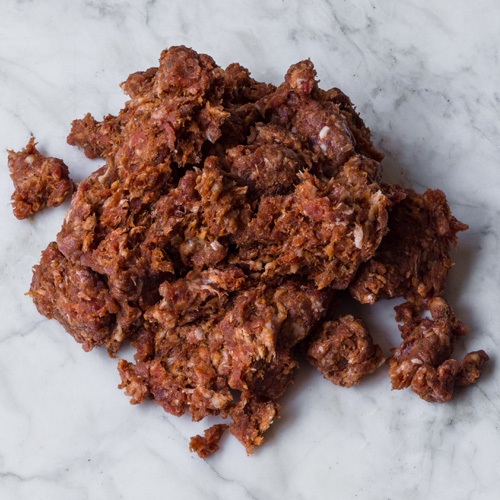 It is true that everything tastes better when you add sausages! 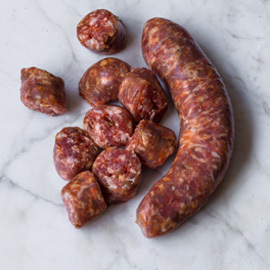 Tip This sausage can be used as a base for pasta sauces, as a pizza topping or by itself off the grill. 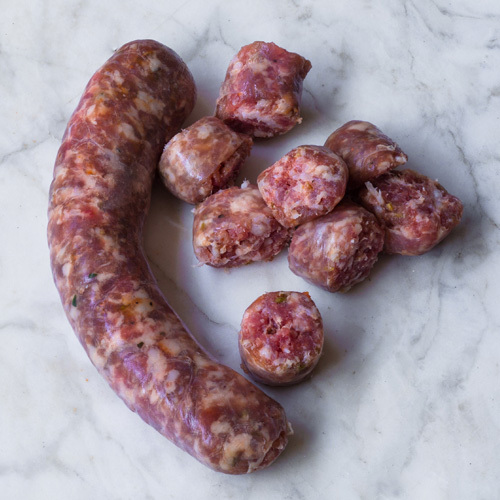 Our sweet Italian sausage features cuts from our charcuterie case such as pancetta and guanciale. 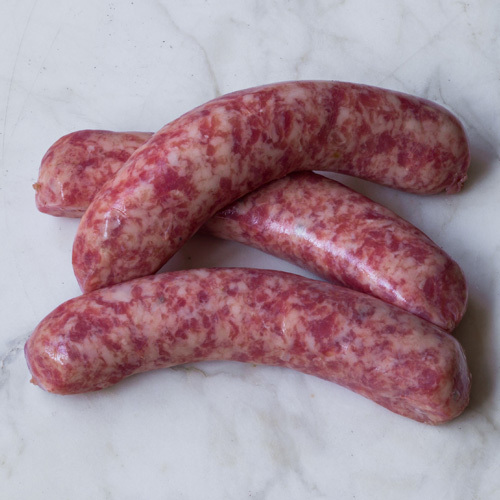 This adds a natural sweet & tangy flavor to this basic sausage. Other seasonings include garlic, fennel seed and dried herbs. 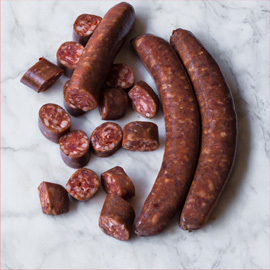 Originally derived from ingredients brought over by Italian immigrants, this sausage has become a staple in the U.S.